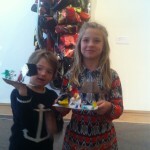 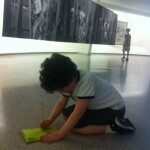 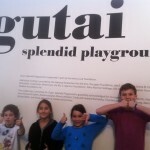 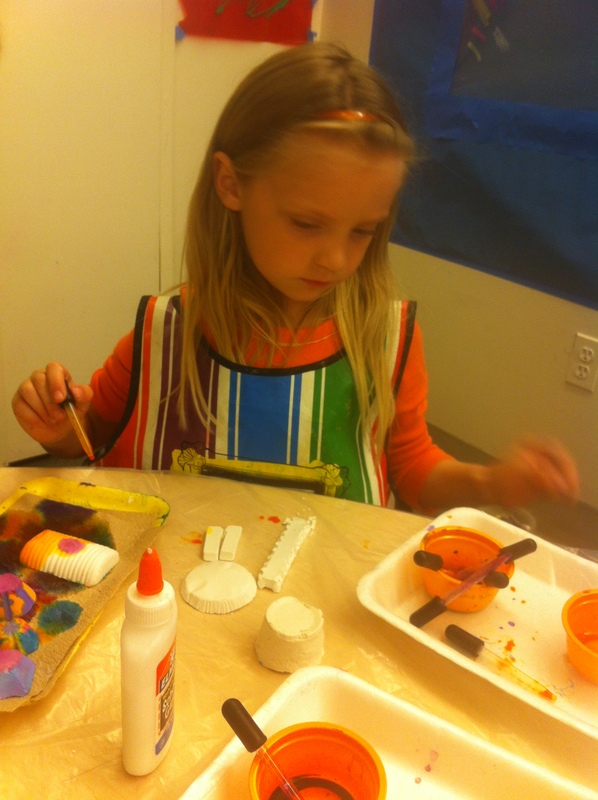 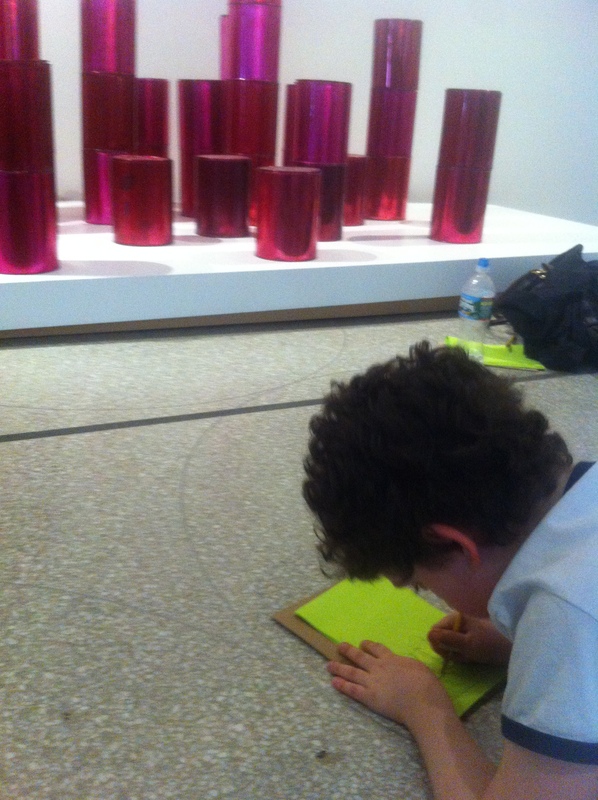 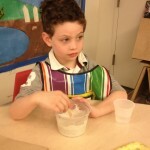 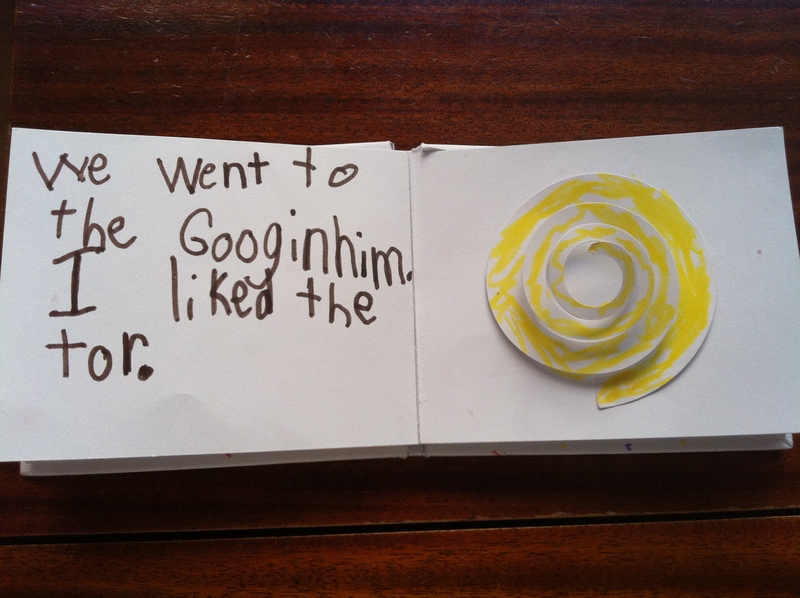 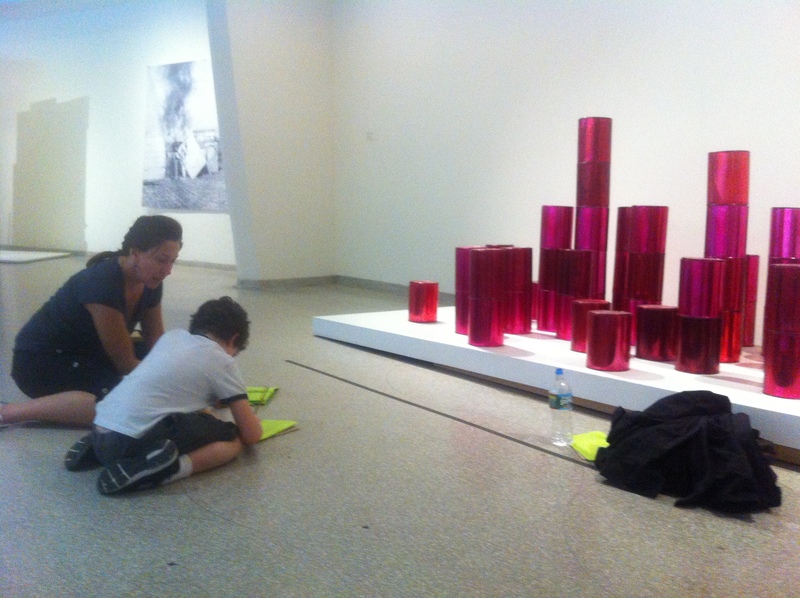 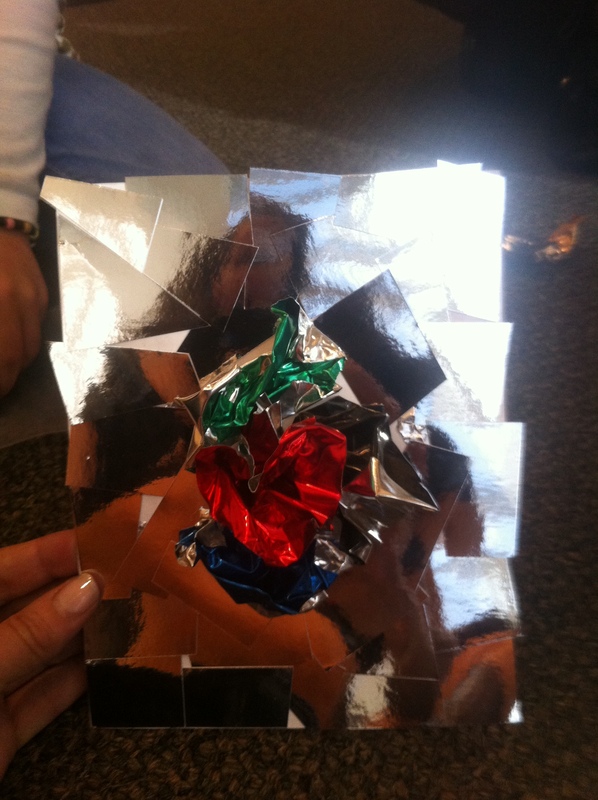 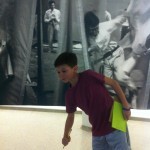 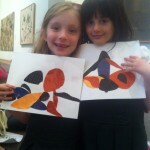 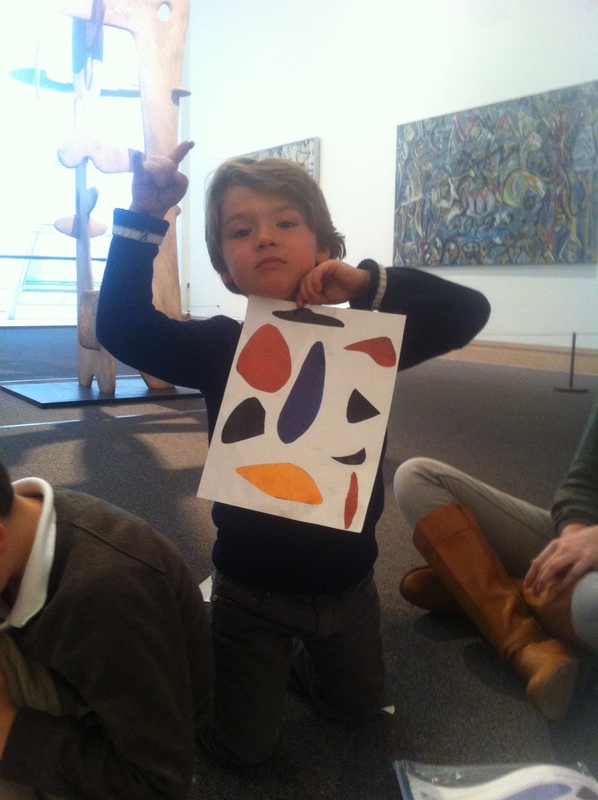 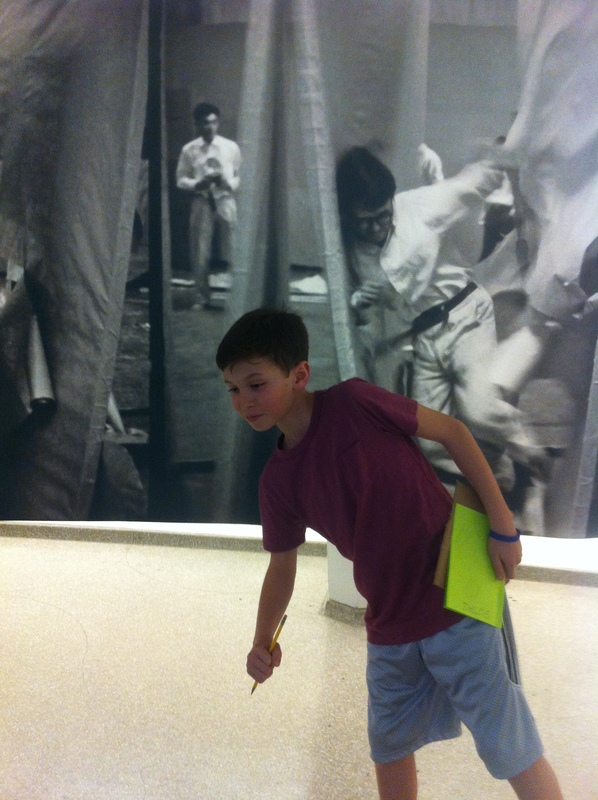 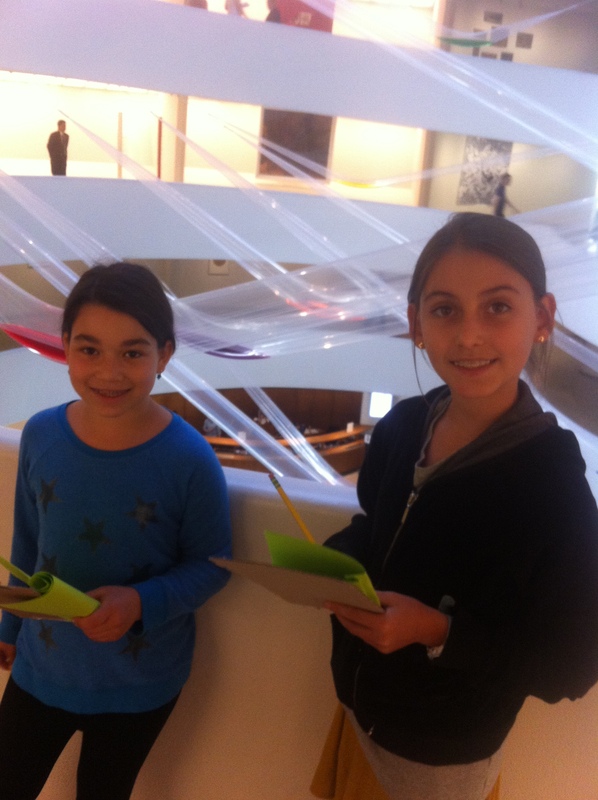 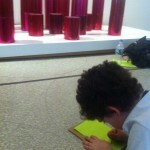 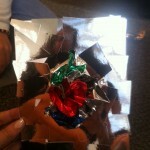 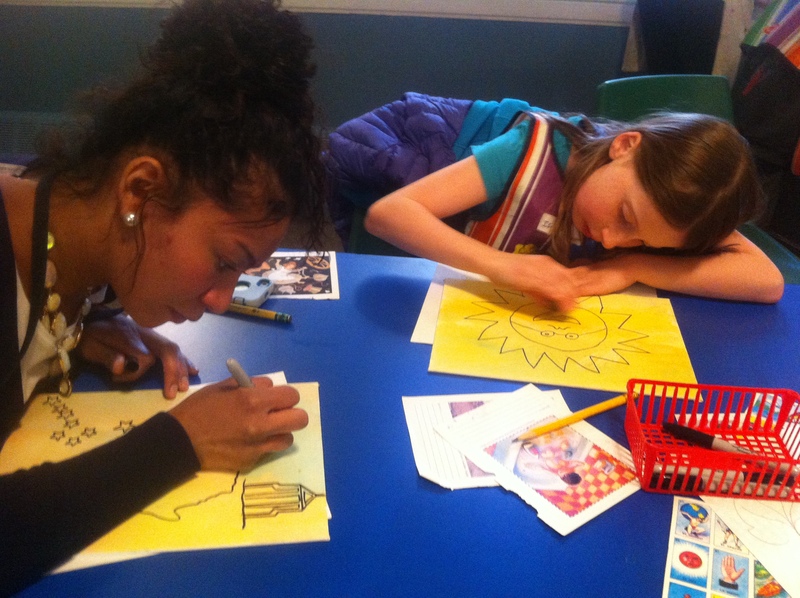 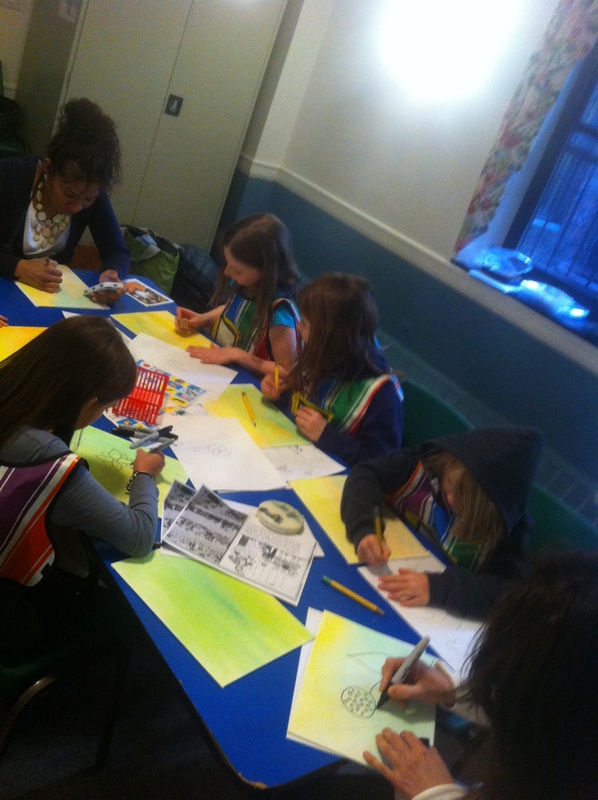 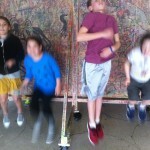 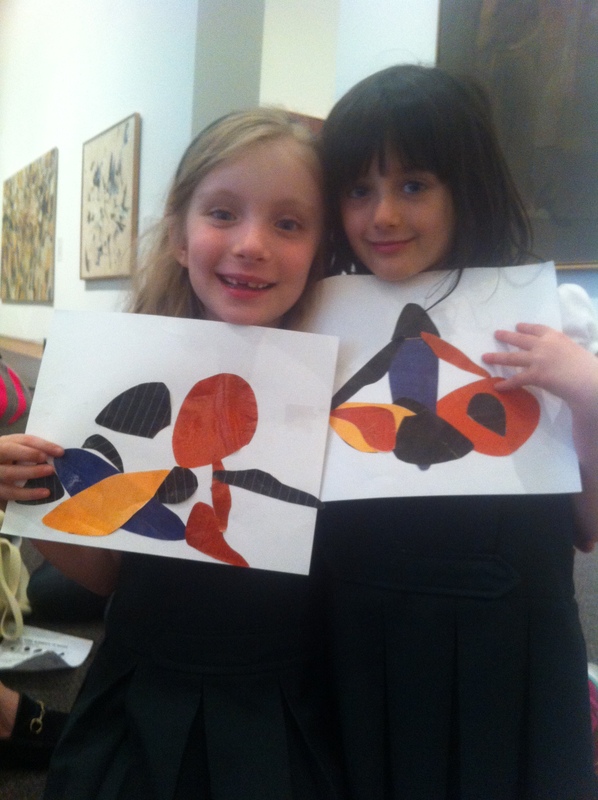 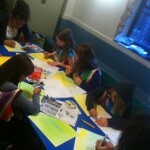 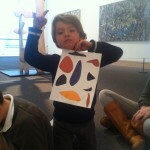 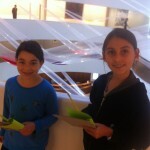 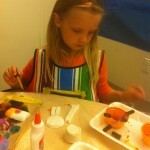 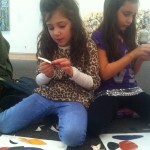 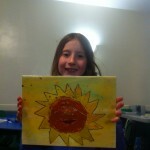 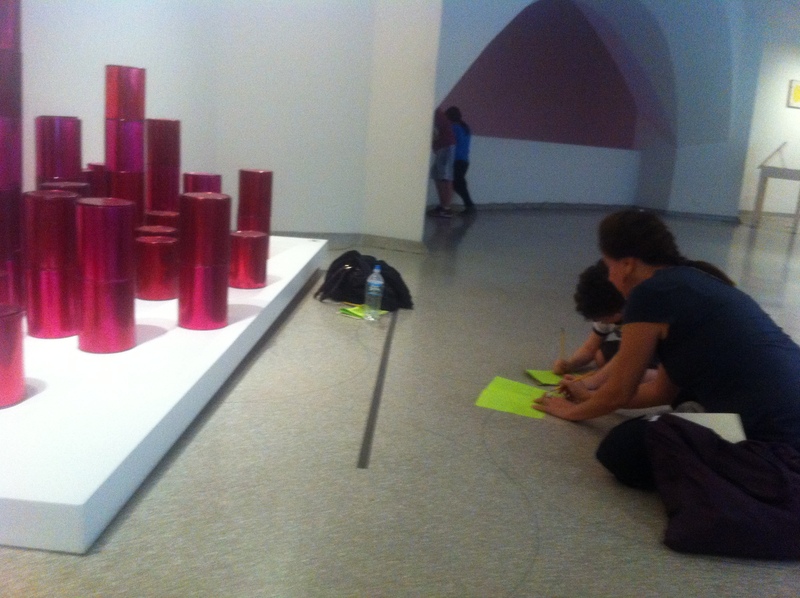 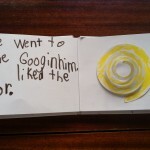 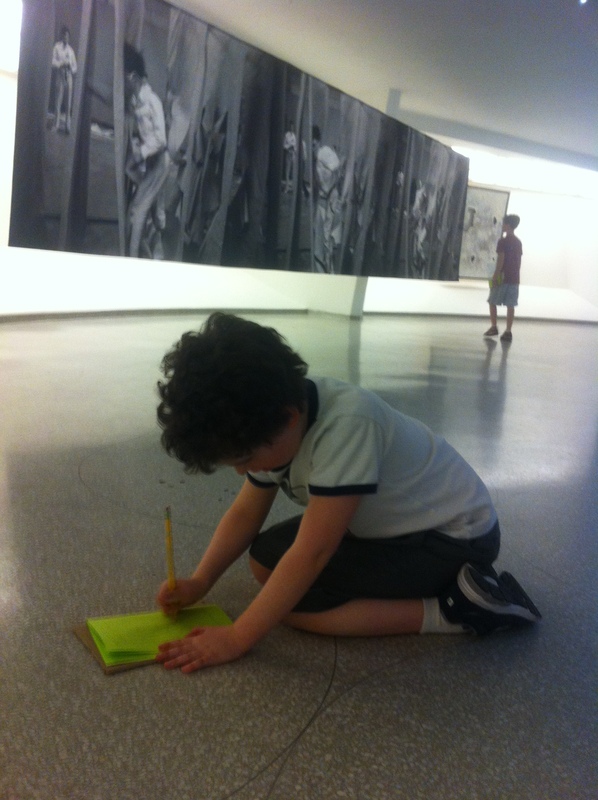 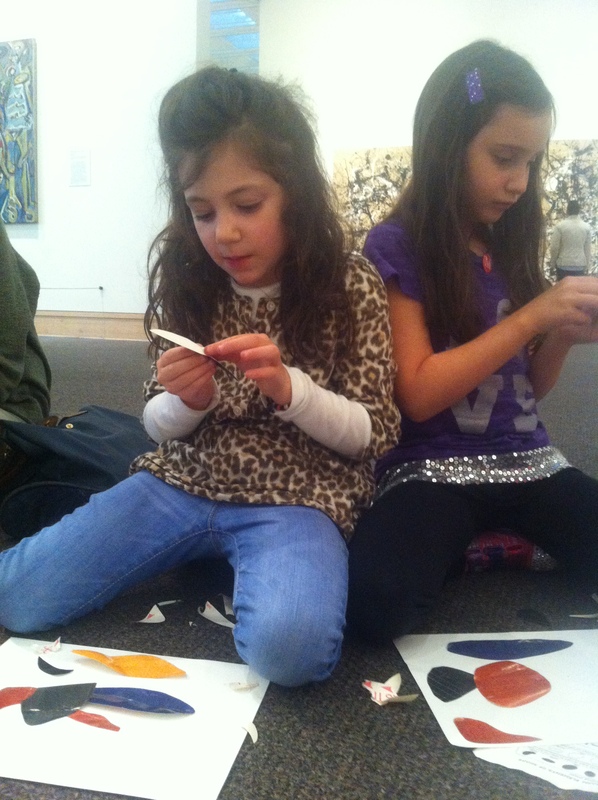 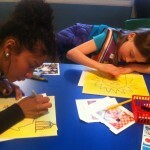 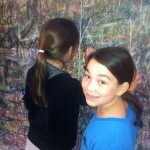 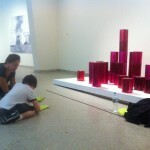 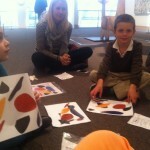 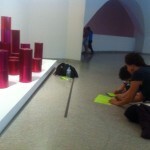 Art Adventures Studio took a class trip to explore the exciting world of Gutai at the Guggenheim Museum. 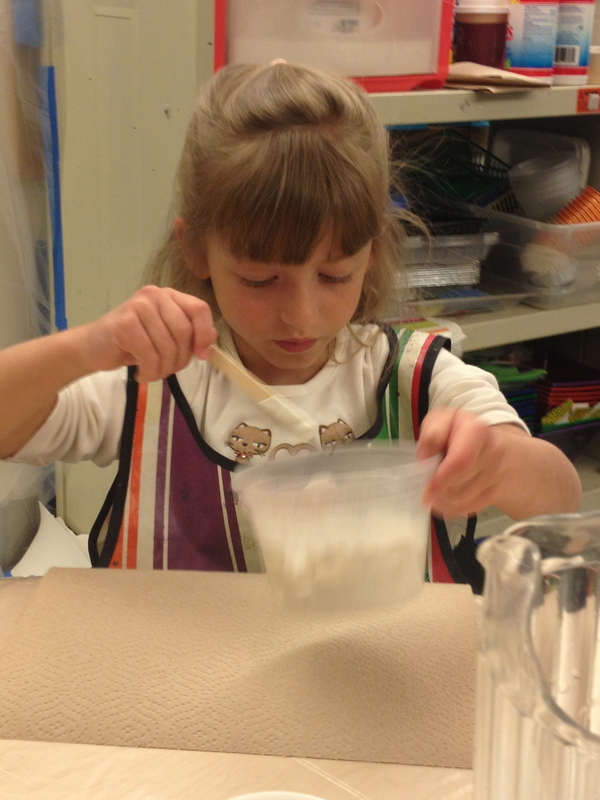 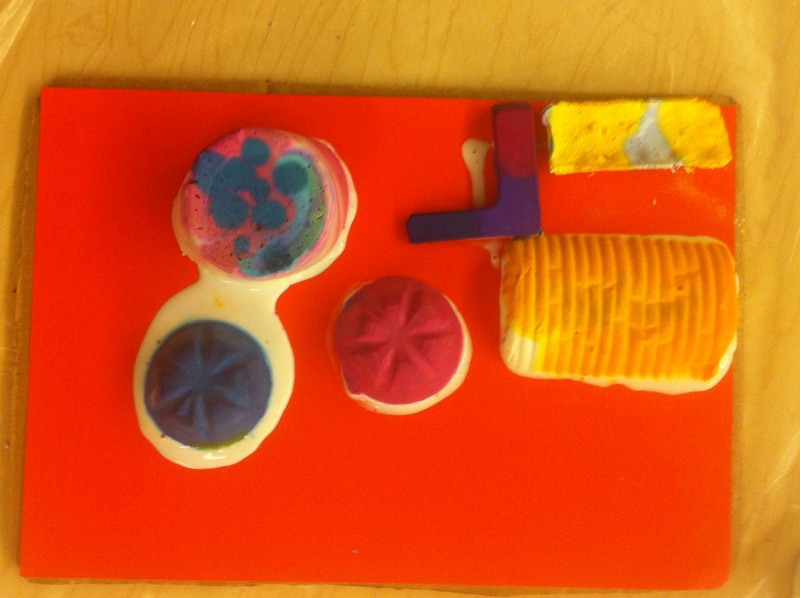 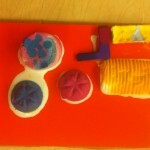 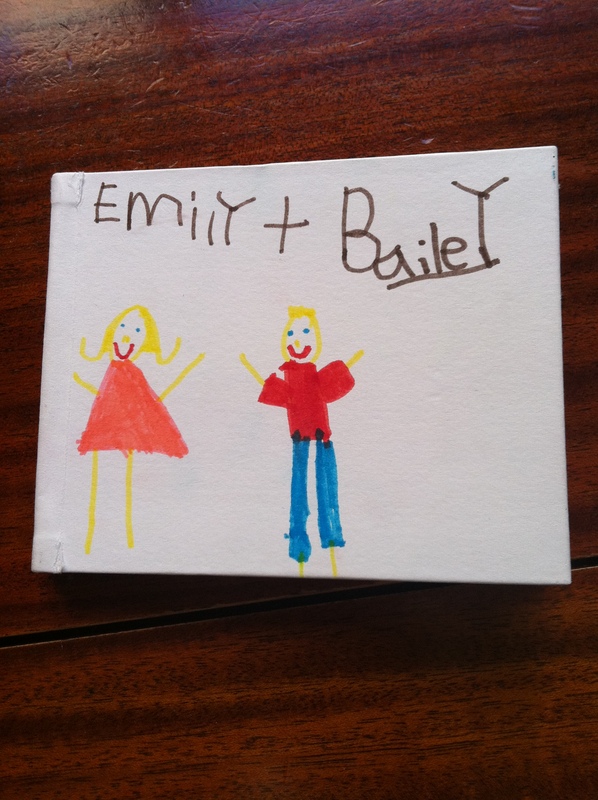 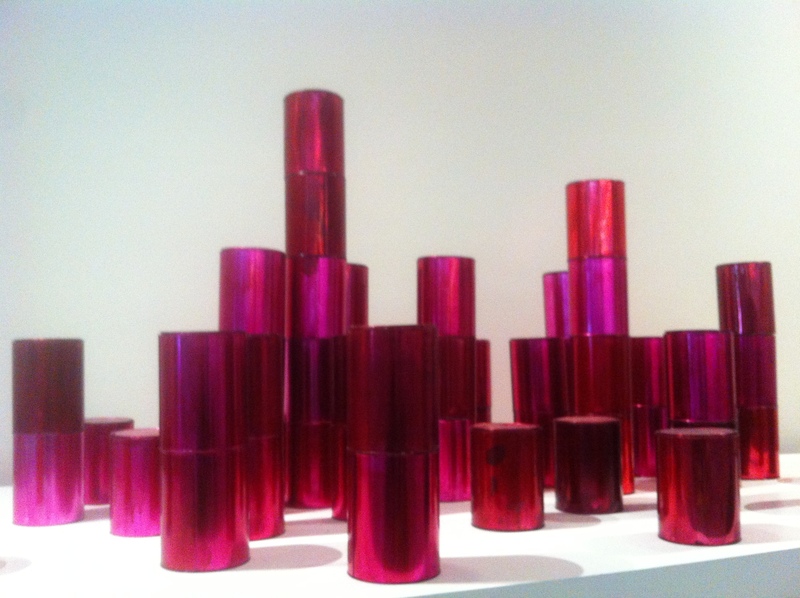 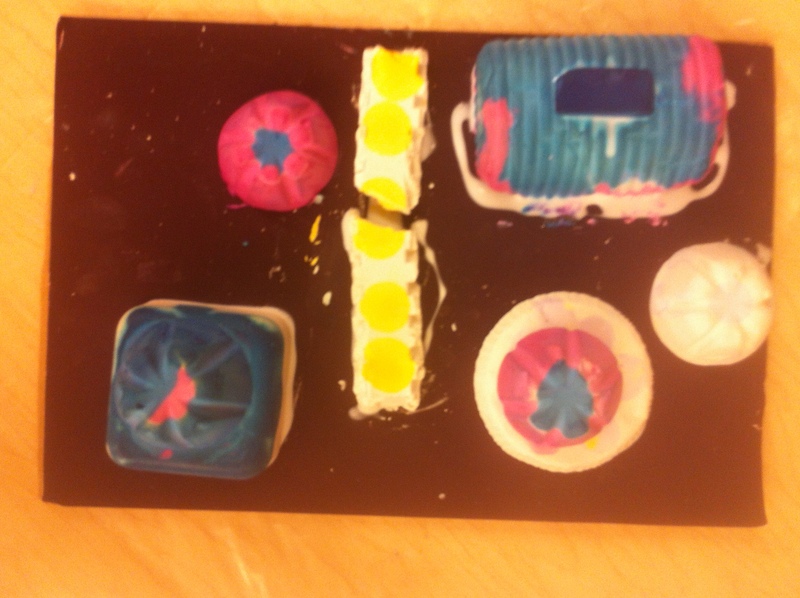 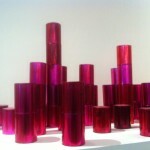 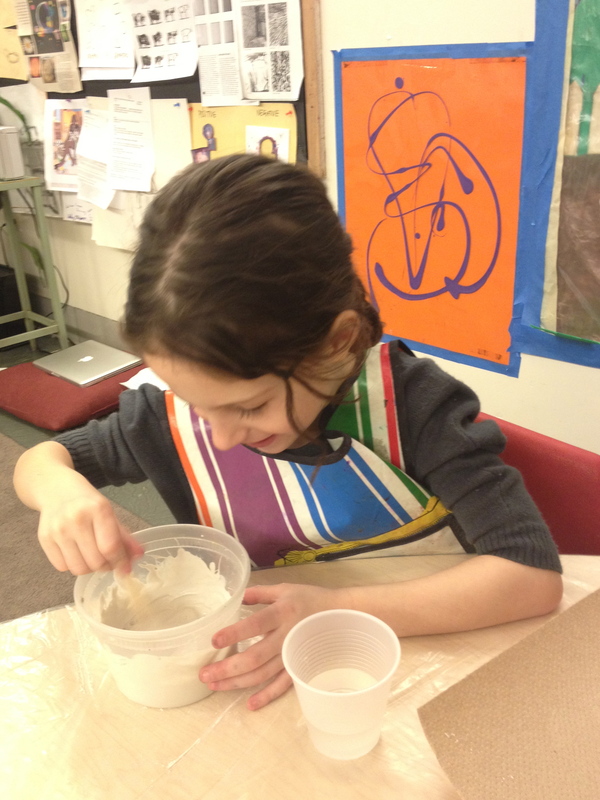 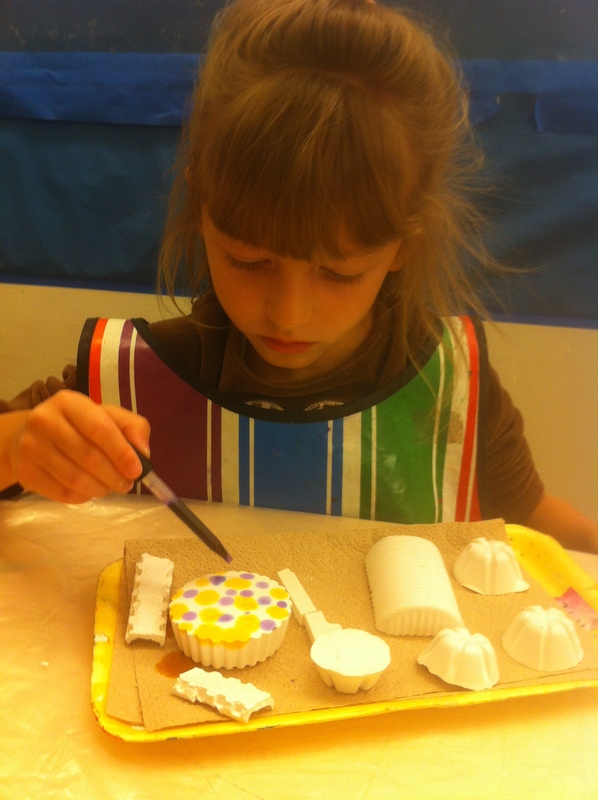 In Art Adventures, students learned about the work of Rachel Whiteread and her use of molds and negative space. 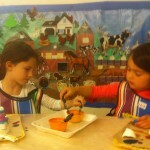 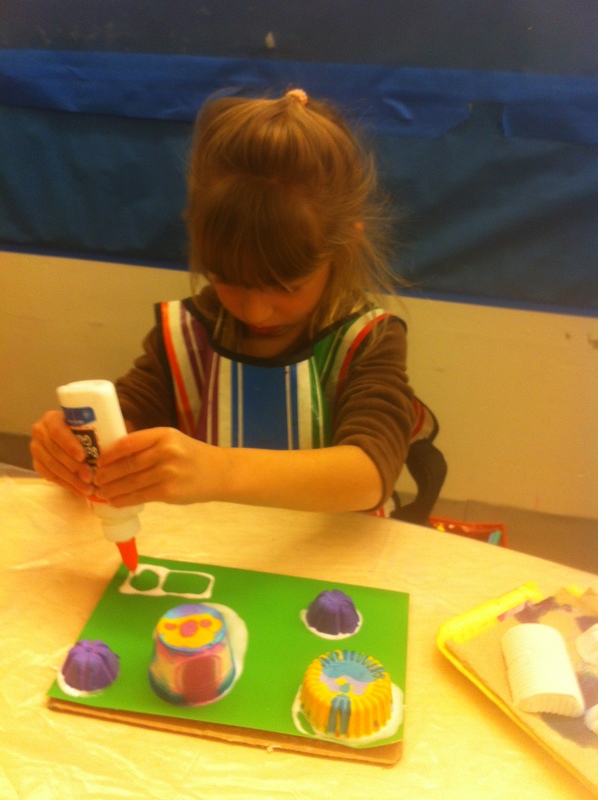 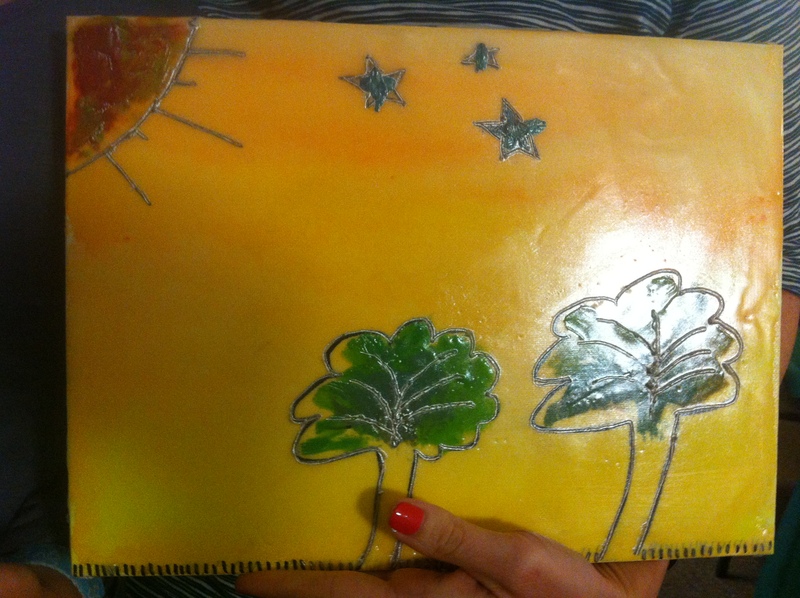 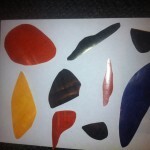 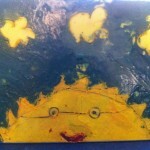 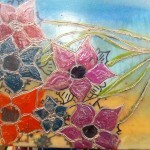 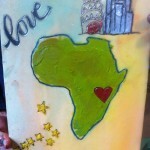 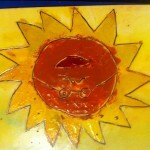 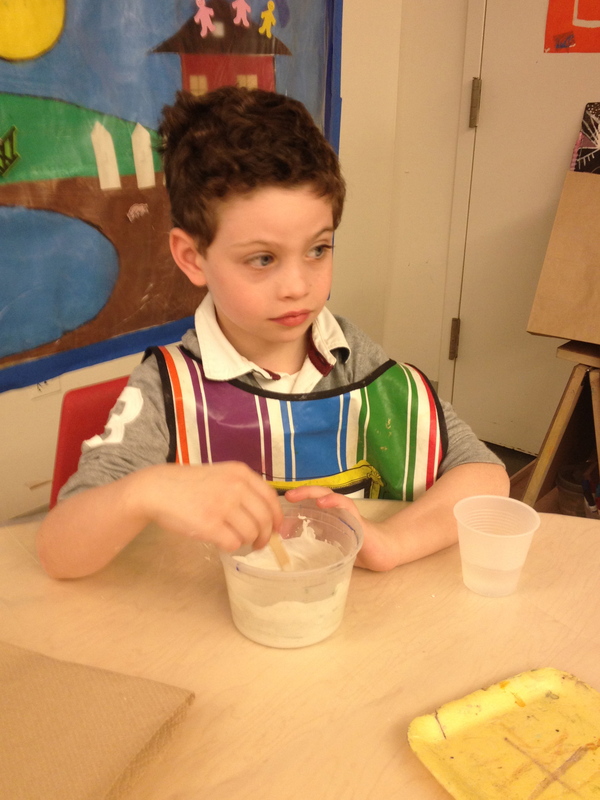 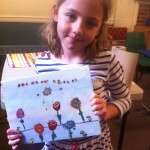 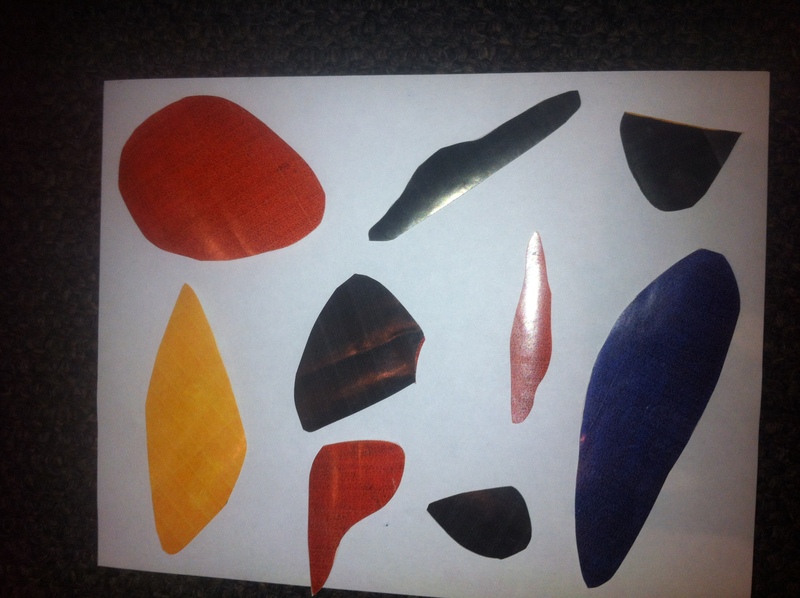 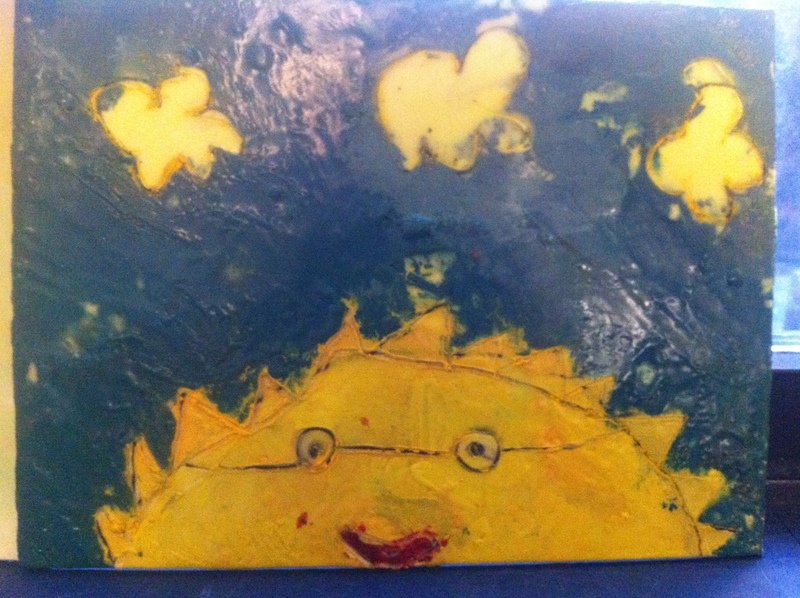 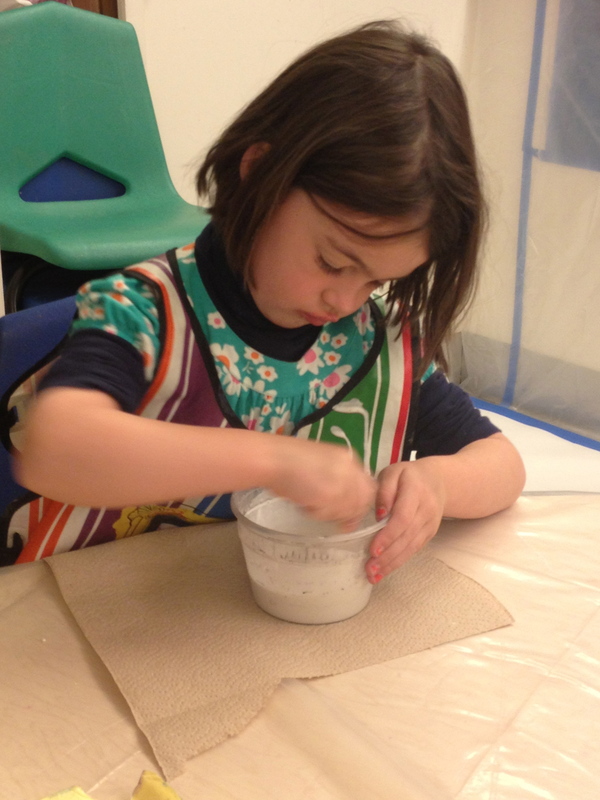 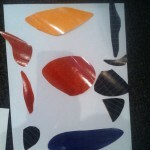 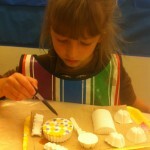 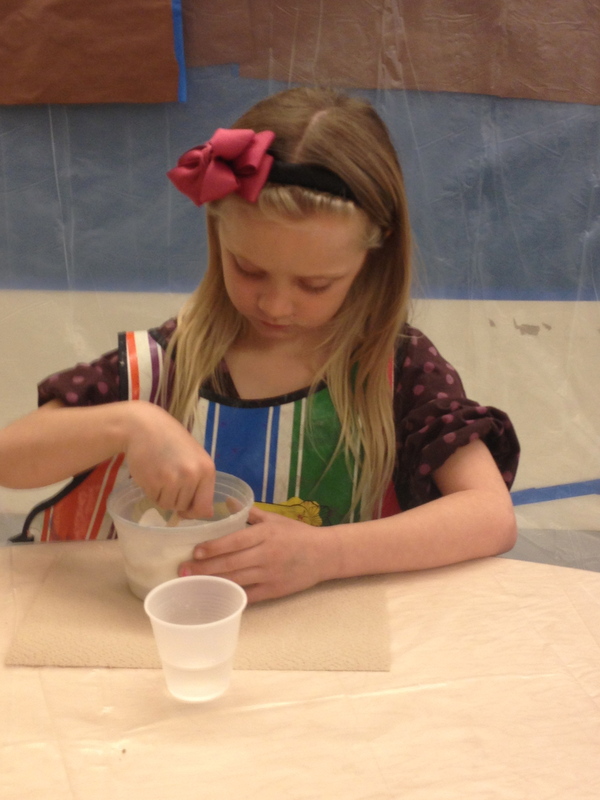 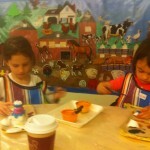 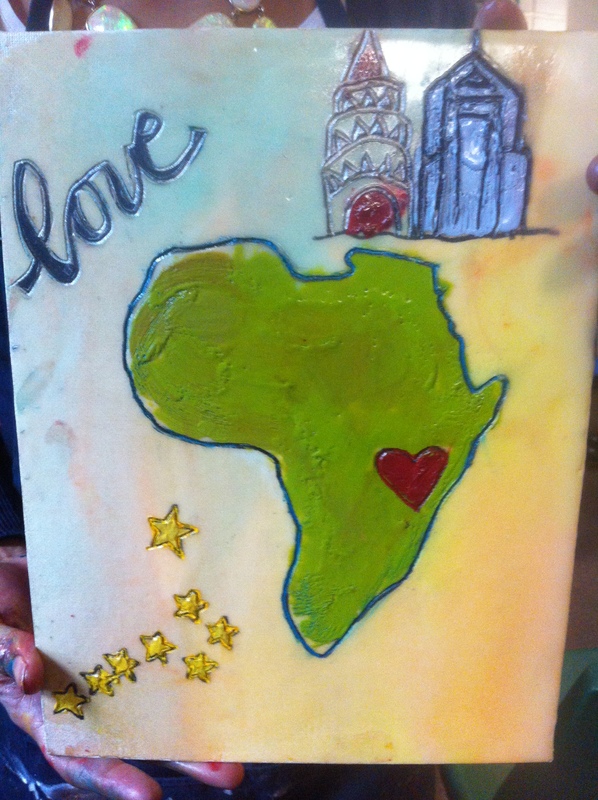 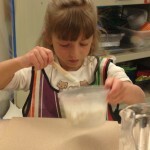 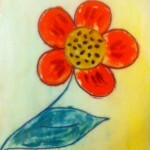 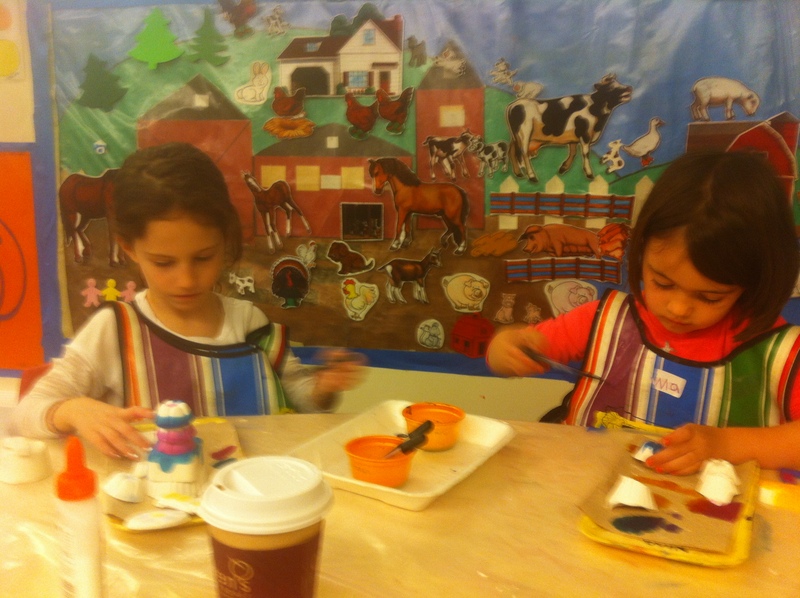 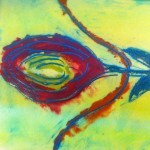 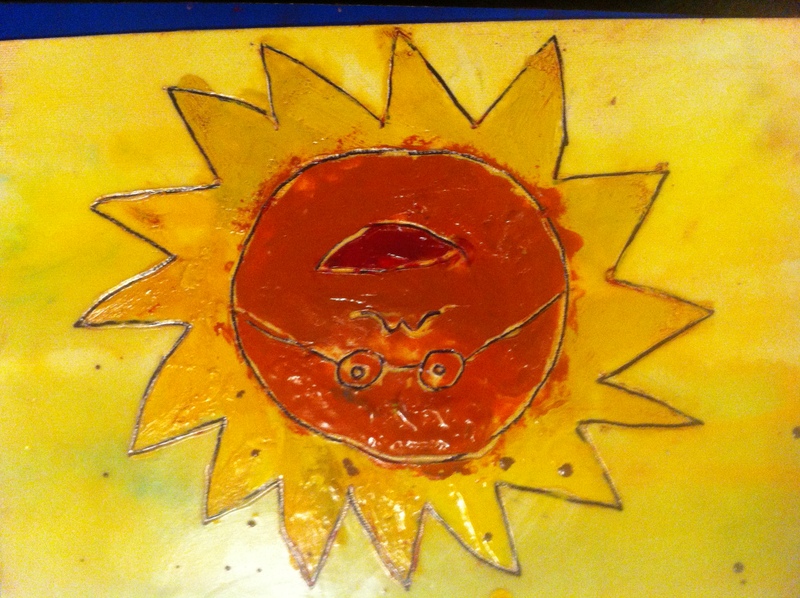 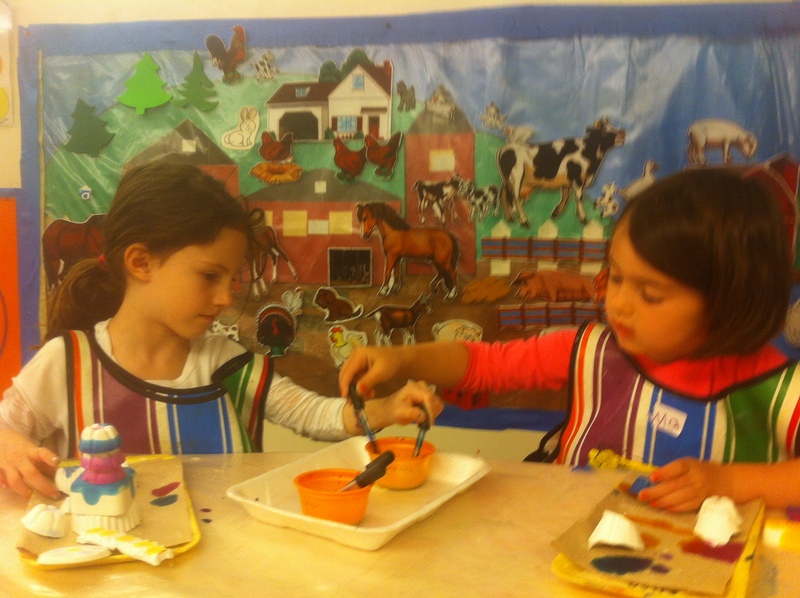 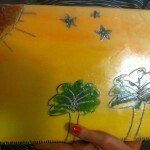 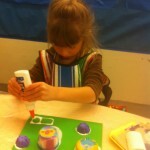 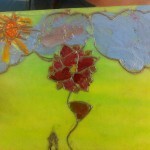 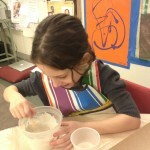 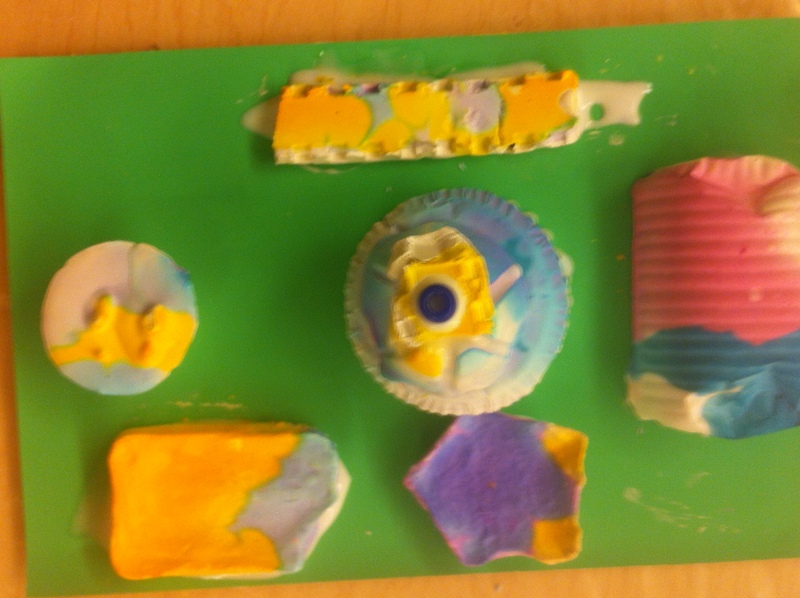 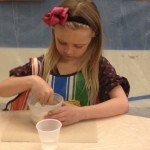 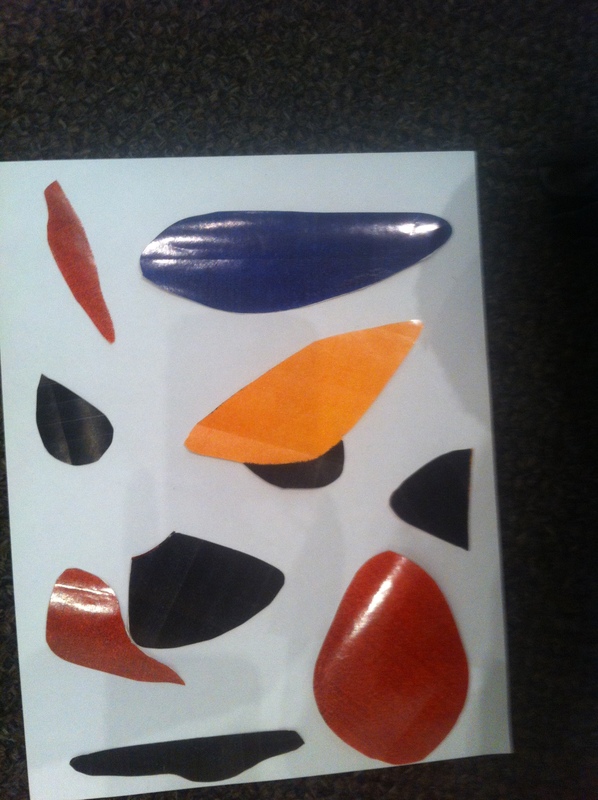 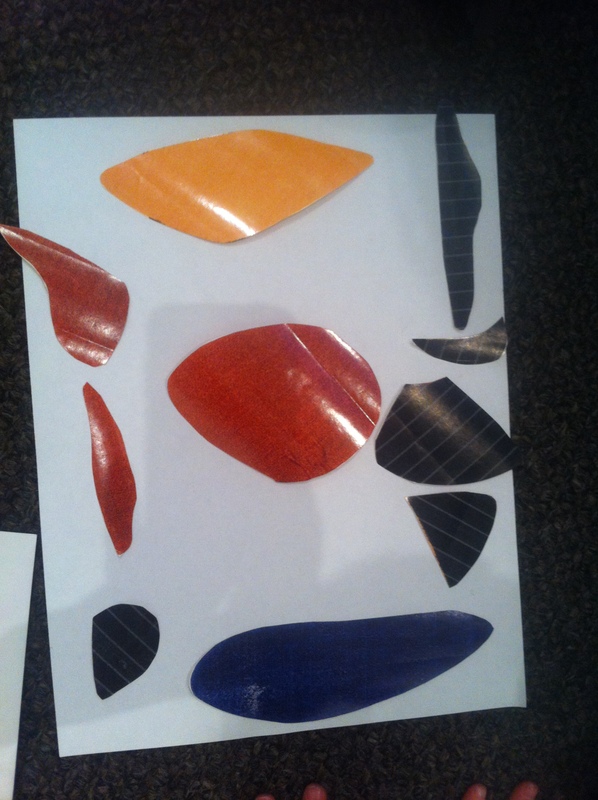 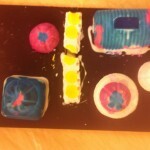 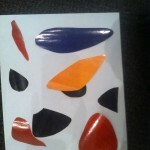 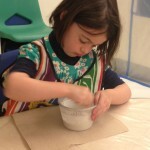 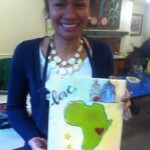 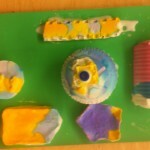 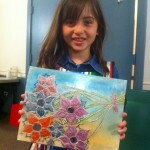 Children mixed and poured their own plaster molds and chose how to add color and arrange them. 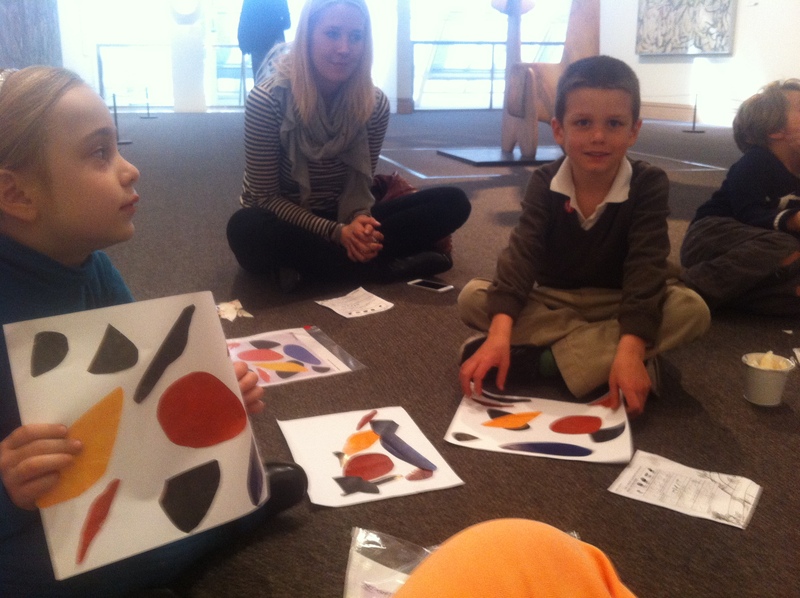 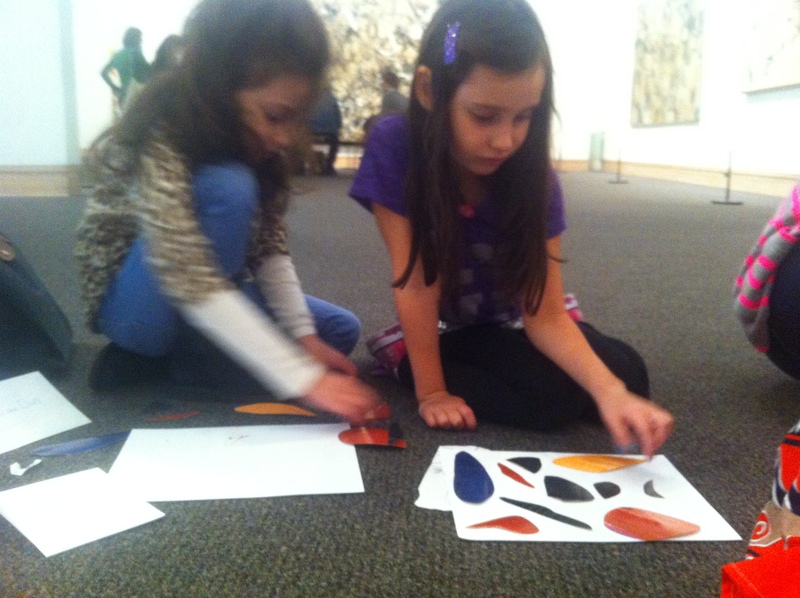 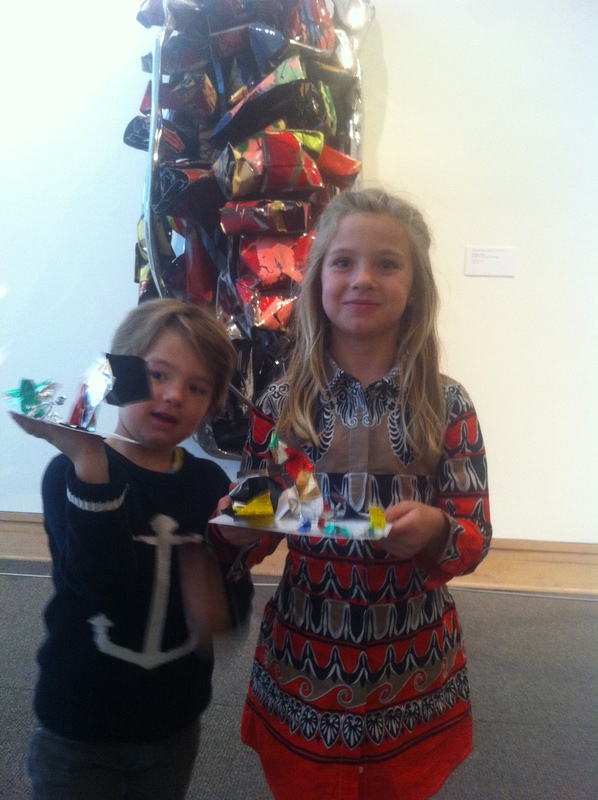 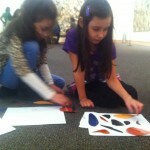 Last Friday, Museum Adventures explored Metal, Shape, and Balance while looking at the work of Alexander Calder and John Chamberlain at the Met. 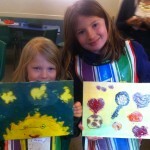 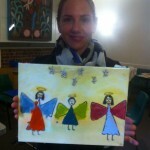 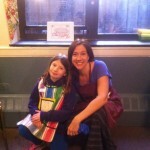 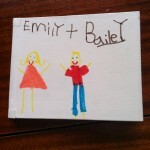 Take a peek at the outstanding results! 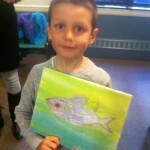 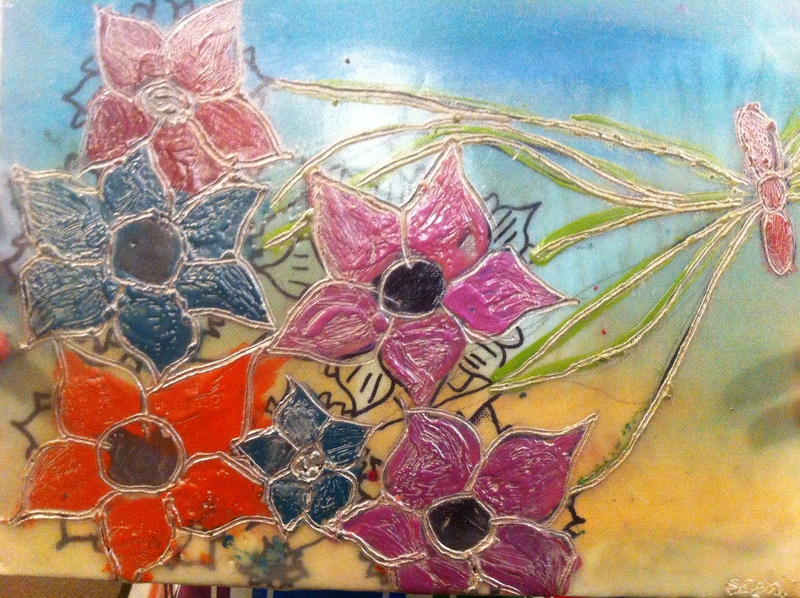 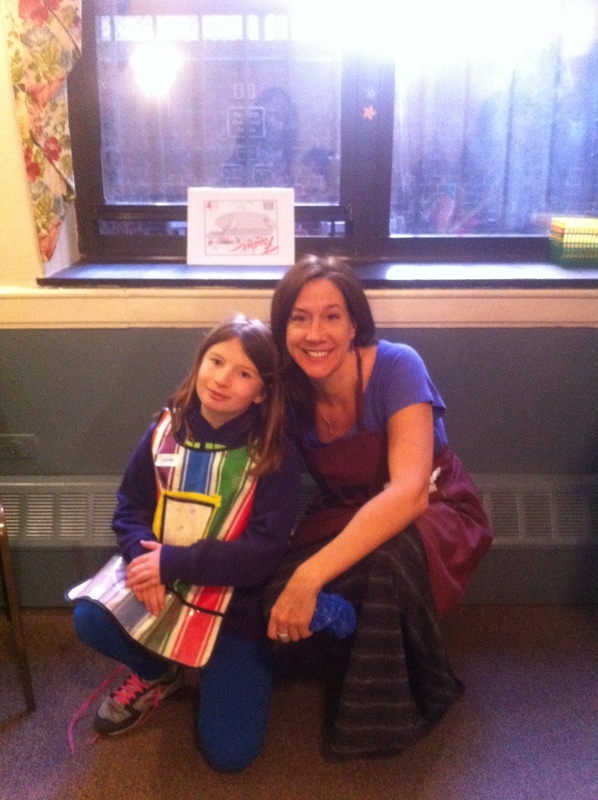 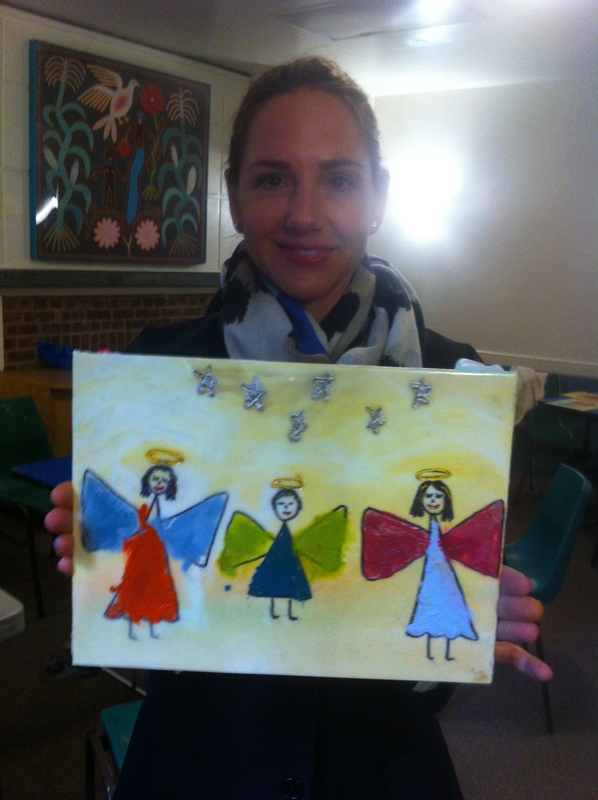 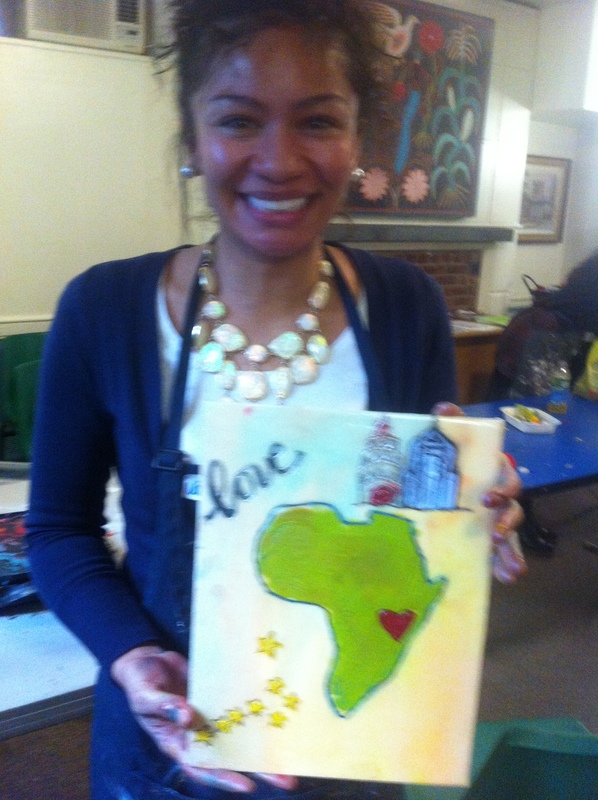 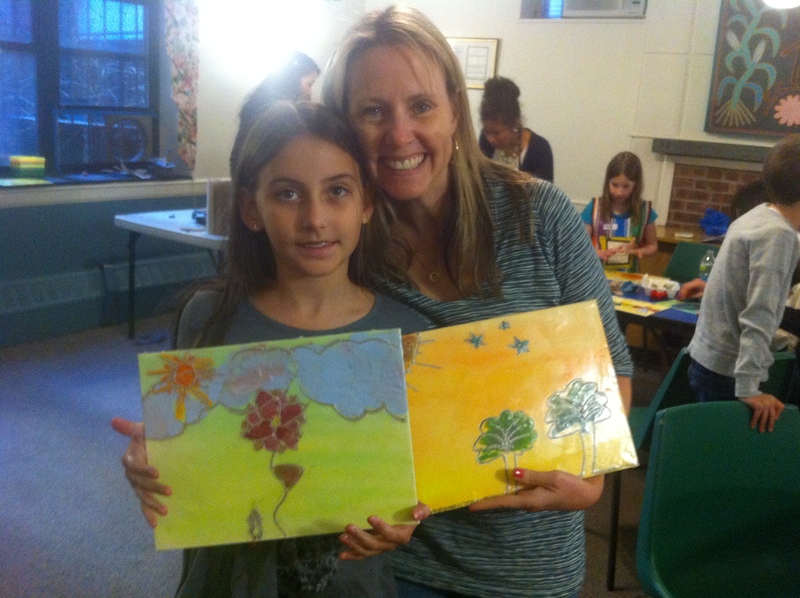 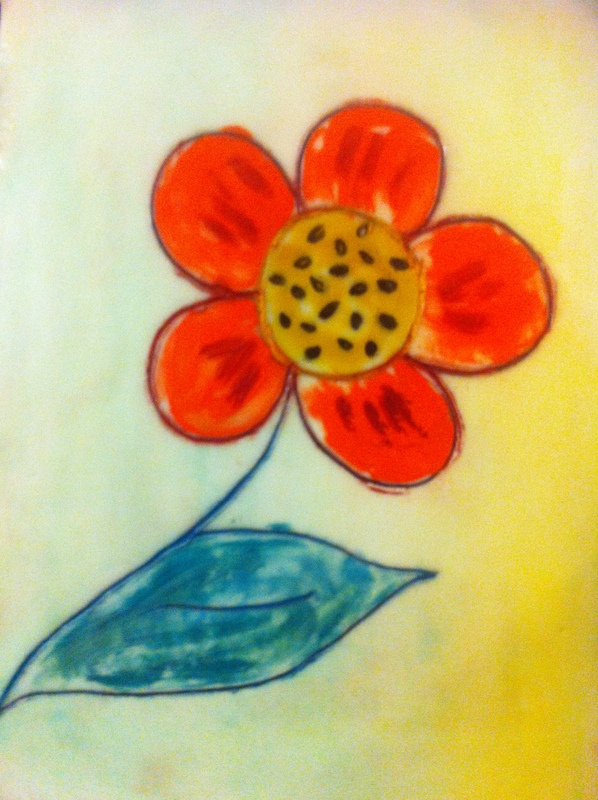 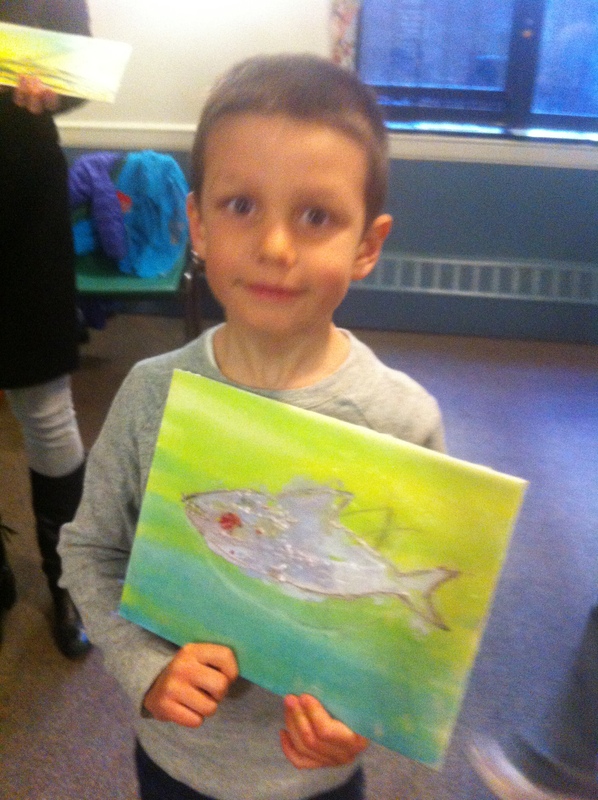 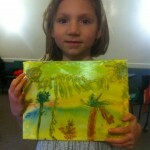 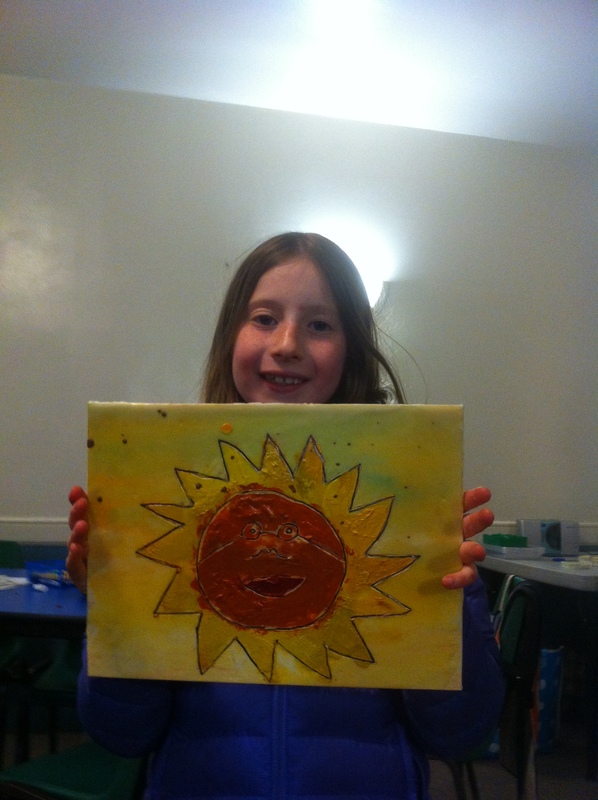 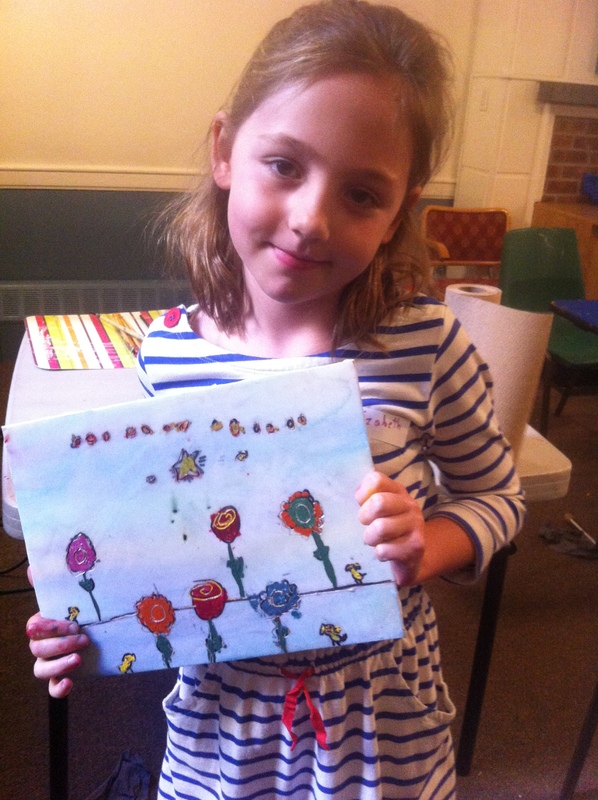 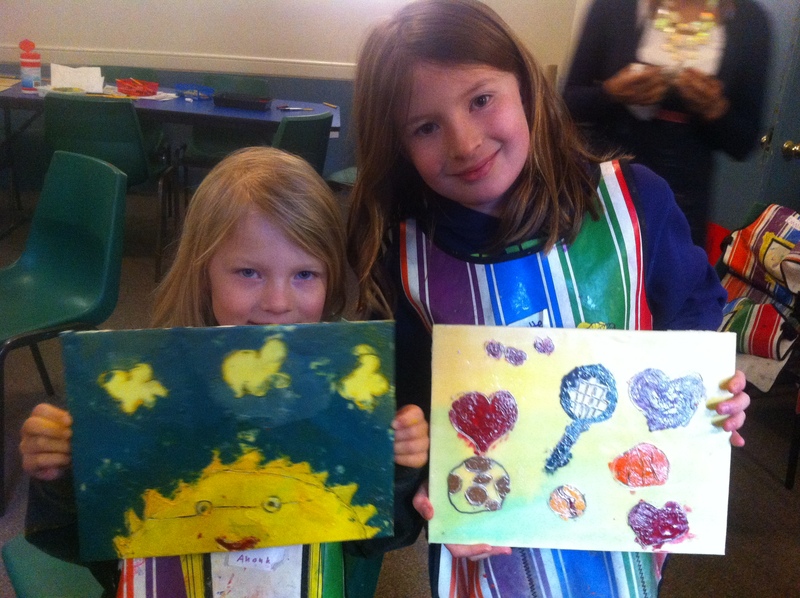 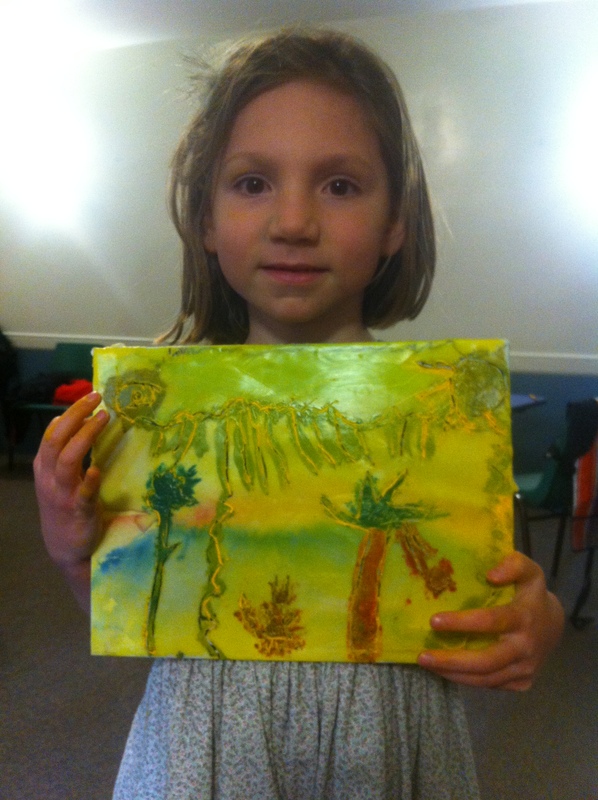 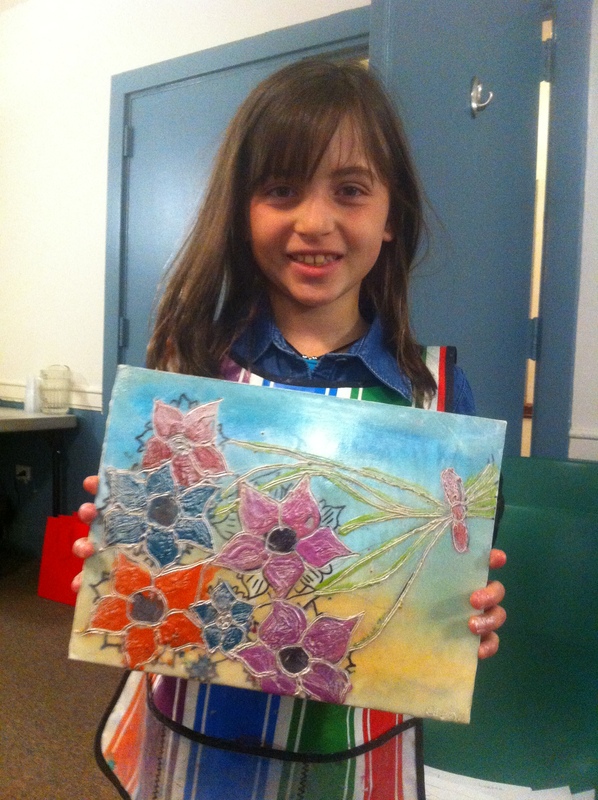 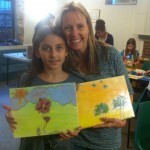 This past Saturday in our Parent/Child Workshop, parents and children worked together with Cecile Chong to create their own Encaustics. 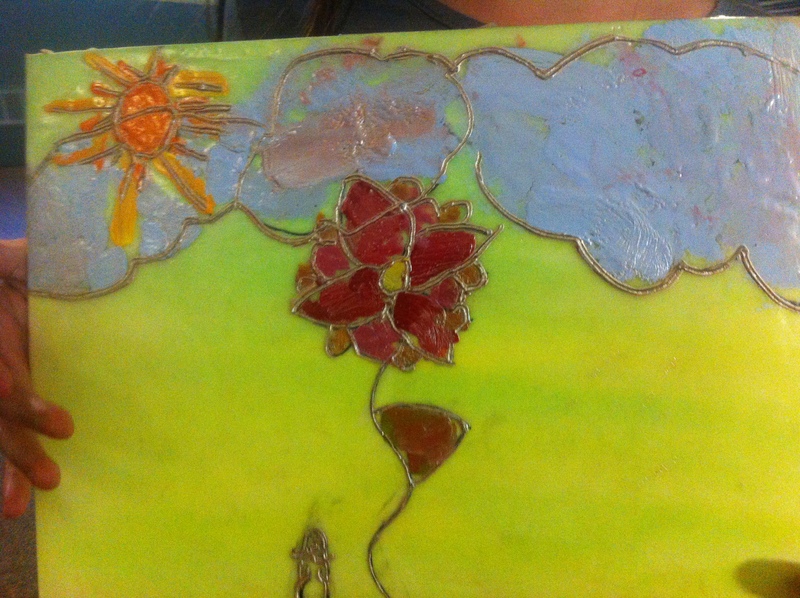 In class, we drew a story on canvases for the basis of our painting, covered them with encaustics, etched lines to be filled, and poored wax! 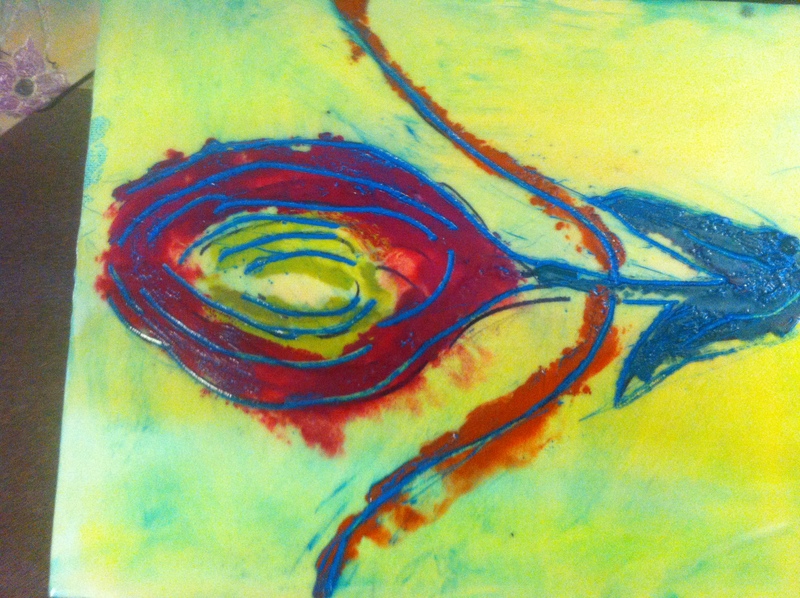 Take a peek at the fantastic results below and don’t miss out on our next Parent/Child Workshop on May 4th – Silkscreening with Gary Lichtenstein.